CHICAGO -- A Chicago agency that investigates police shootings has determined that an officer was justified in fatally shooting a black man in the back two years ago. The Independent Police Review Authority announced its findings Friday night that Officer George Hernandez was justified in shooting 25-year-old Ronald Johnson III in October 2014 because Johnson “wielded a firearm” as he fled from police. A gun was found near Johnson. Attorneys for Johnson’s family have alleged officers planted the gun and have filed a wrongful death lawsuit. 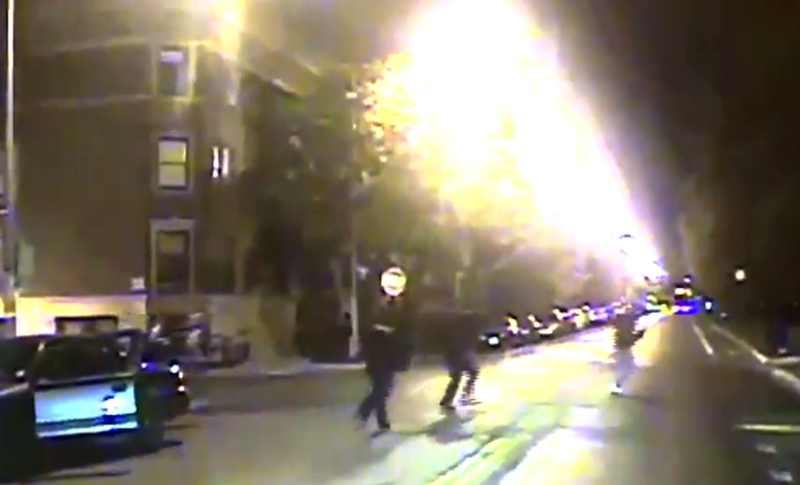 Video of the shooting was made public late last year about the same time as video of the fatal shooting of black teenager Laquan McDonald by a white officer. But while prosecutors charged Officer Jason Van Dyke with first-degree murder, they announced they wouldn’t charge Hernandez. After McDonald’s death, police created a policy to release videos within 60 days. The number of officer-involved shootings has been decreasing over the past few years, according to the Independent Police Review Authority, which noted 43 shootings in 2014, the year Johnson was killed. In November, Chicago officers shot and killed two people in two separate incidents within 24 hours of each other. In both incidents, officers involved will work on administrative duties for at least 30 days, which is standard practice. The Independent Police Review Authority is investigating both incidents.